The most difficult thing for a beginner to do is call and show up to a gym where fighting is taught. You just have no idea what to expect. The front desk, coaches and training partners are all great, you will meet friends, push yourself to the limit and learn valuable skills. You will become stronger, healthier and more resilient physically and mentally. Finally, found a fitness program that challenges my mind, body, and spirit, as well as teaches me how to be safe. The staff and instructors are very welcoming and supportive: no need to be perfect, only fight and never give up. Also, my dripping sweat makes me feel as though I am the star in a Gatorade commercial! Great group. Trained with David Stacy four years ago in Greensboro and then returned home to Northern New York. Have been in contact with Andre and have received great advice on my solo training and hopes to establish a fit to fight location up here at some point. First class people. I have been using the Fit to Fight® program for some time now…with two, 25,000+ sq. ft. centers & over 6000 students in a single location, I will continue to invest my time, my staff ’s time and my money with these programs. It was with a measured amount of apprehension that I signed up for Phase Training, as I had heard of some rather fearsome tales from others who had gone through Phase with other organizations (several days of high-intensity conditioning, sheer exhaustion, seemed to be more of a “weeding out” process physically, etc.). 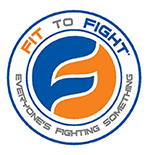 What I appreciated about FIT TO FIGHT® is their focus and attention on. I respect FIT TO FIGHT® for their approach, because it appropriated more time for direct instruction and training. Further, various “helpful tips and ideas” for enhancing Krav instruction were peppered throughout the training.